Motorola’s latest flagship Android smartphone, the Moto X, may not feature bleeding-edge hardware, but it does bring about some pretty cool software solutions, such as Active Notifications and the double-chop gesture to launch the camera app. Naturally, as is common with Android devices these days, enterprising developers have managed to port the necessary files for these features and repackaged them as apps usable for other Android devices. The ActiveNotifications app, available now on the Play Store, mimics the Active Notifications feature on the Moto X phone. When a new notification is received, the screen is switched on displaying an instantly recognizable icon, which can instantly open the app when the icon is swiped up. Tapping and holding on the icon itself also provides a quick description of the notification, be it an email, Whatsapp message or virtually any app. Perhaps best of all, the app has been updated to not only support Android 4.3, but also for devices running Android 4.1.2 and above. 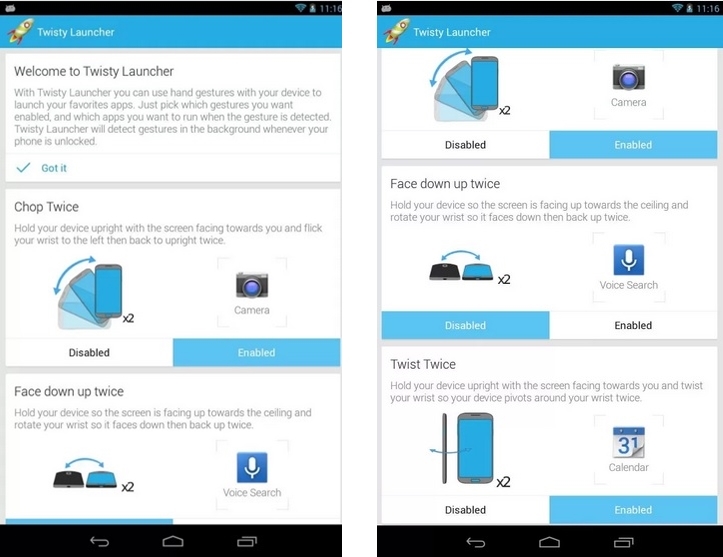 In addition, the Twisty Launcher app not only mimics the twist gestures to activate the camera app, but builds upon it to support other gestures to activate virtually any app. By default, the Twisty Launcher enables the “double chop” gesture to activate the camera, while there are two other gestures that users can set to activate an app. Being unofficial ports, the apps naturally come with some shortcomings – though none render them unusable. 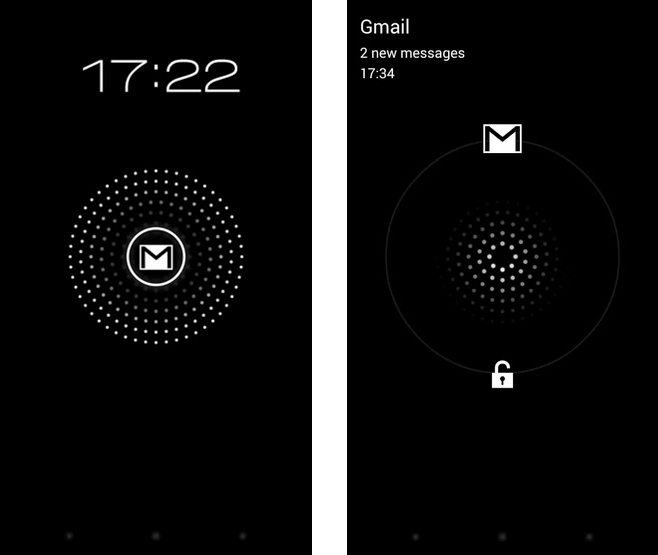 Just like on the Moto X, the ActiveNotifications app will not automatically launch an app if the user has added security measures to the default lockscreen on their device. For the Twisty Launcher app, the gestures only work when the screen is on (the Moto X gestures work even if the screen is off). Nevertheless, the developers’ endeavour allows Android users try out the cool new Moto X features on this side of the world, especially since the Moto X will not be making a bow anywhere outside of the Americas.